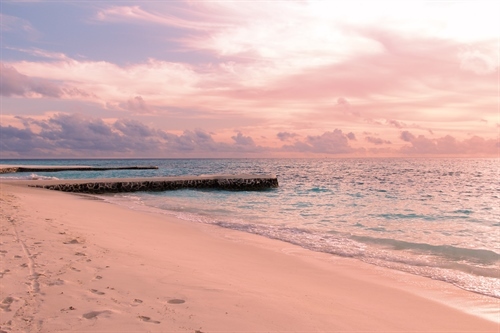 With luscious palm trees and crystal clear waters, the Maldives is an idyllic paradise. 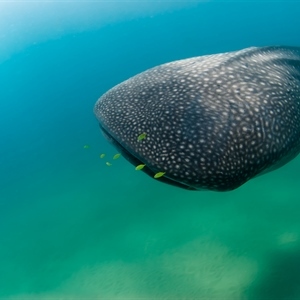 From hammerhead and whale sharks to manta rays and turtles your diving experience will be unforgettable. Your adventure starts at London Heathrow with a Srilankan Airlines flight. Flight departs London Heathrow, terminal 3 at 20:40 arriving Male at 14:20 the next day. Your flight will go via Colombo arriving 12:40 and departing at 13:25. Transfer from Male International Airport to Male port. Male port is on a little island right next to the airport. 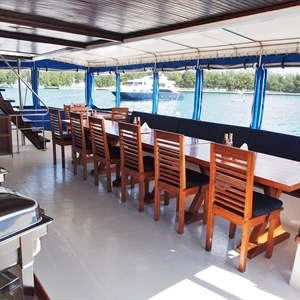 On arrival you will be met by a member of the MV Emperor Voyager and transferred between the islands. While you are waiting to board you can go to one of the small shops on the port island to get some refreshments. 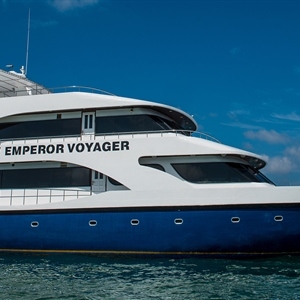 Board the MV Emperor Voyager for a week of fun and diving! Time to get your gear together and jump in the water! 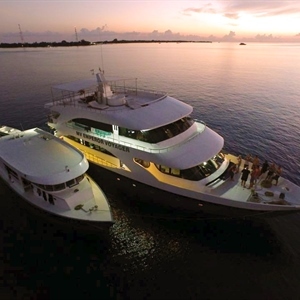 A week aboard the MV Emperor Voyager will give you all you could wish for from the iconic sites of North Male, South Male and Ari Atoll. 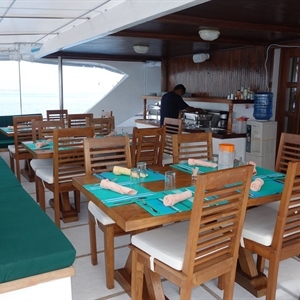 Awaiting for you are channels, drifts and pinnacles where you have every chance of meeting mantas, whale sharks and mesmerising marine life of so many varieties. Flexibility is key! 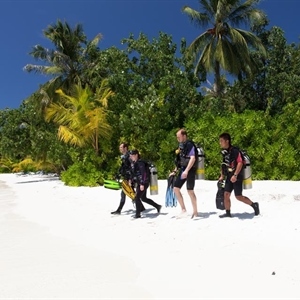 The dive crew does not follow an exact itinerary so you have the opportunity to explore this underwater world no matter what time of the year you decide to visit. Disembark the MV Emperor Voyager and seaplane transfer to Vilamendhoo Island. 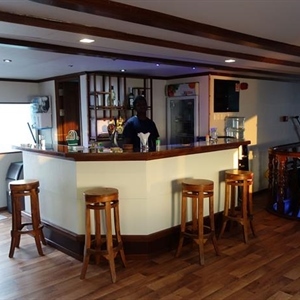 After disembarking the MV Emperor Voyager, you will start the next exciting part of the trip and if by now you have not seen Mantas yet this may just be the chance that you will need. A member of the Vilamendhoo Resort will be waiting for you at the airport and will guide you through the terminal to get to the seaplane. The seaplane transfer takes about 25 minutes from Male. Maximum checked-In luggage is 20 kilos per person. 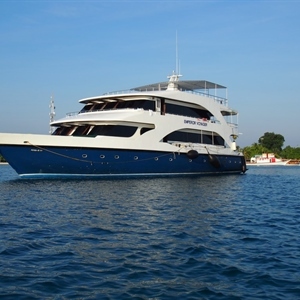 Enjoy 5 days of shore diving with Euro Divers. 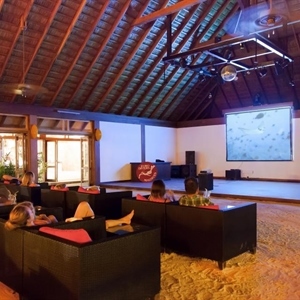 Euro-Divers Vilamendhoo is located on a private jetty just a few meters away from a magnificent reef. 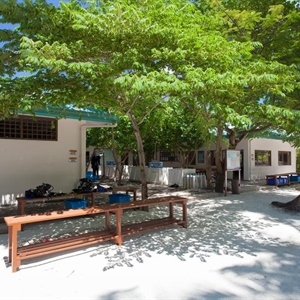 Vilamendhoo is located directly between two channels, making this spectacular house reef very versatile and therefore ranks among the best in the Maldives for scuba diving and snorkelling. 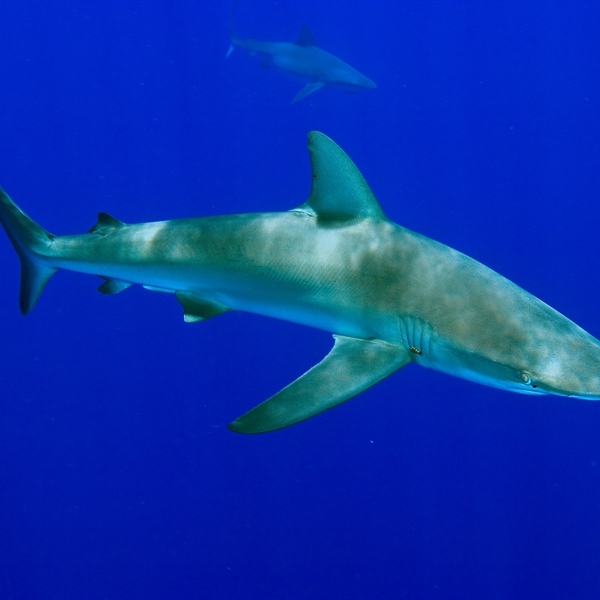 Boat dives are available to the outer reefs but these will be subject to a local charge. 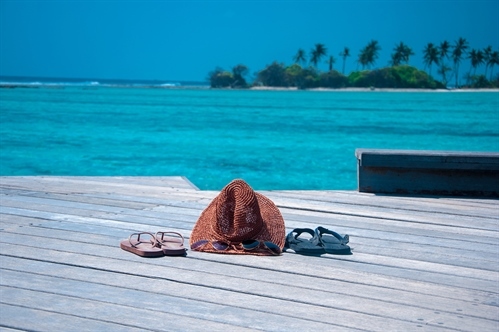 Just relax and re-live the holiday memories. 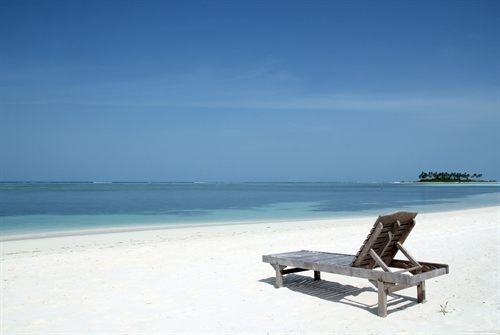 You can choose to relax by the beach and take in the beautiful views or opt to have a pampering day. The Duniye Spa over-the-water provides a tropical spa experience for women and men, focused on wholeness, simplicity, purity and quality. 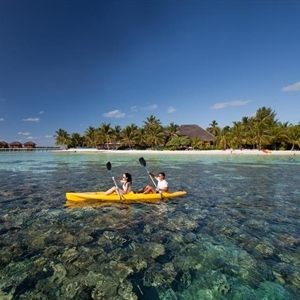 If you prefer to stay active, that's also ok as the resort offers a range of activities including football and sports tournaments, board games, sunset cruises and much more. Say your goodbyes and start your journey home. 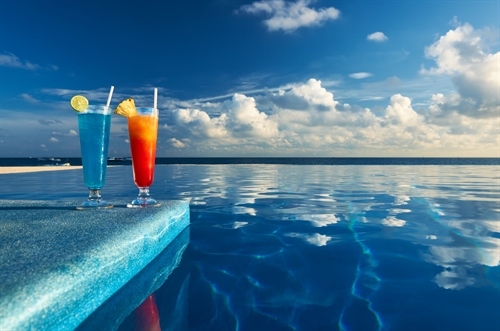 The hotel will have organised your seaplane transfer time which will connect with the onward international flight. The international flight departs Male at 09:25 and arrives London Heathrow at 19:10. Flight via Colombo, arriving 11:20 and departing at 12:50.